Ticam Srl has discovered a new way for lifting & moving 20-200 tons. 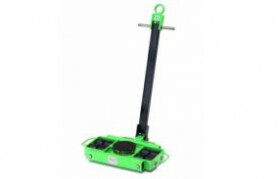 Dumbo Trolley is a self propelled Trolley that can be used for Heavy Duty. It is avalaible in three models: the 400 Volt Model, the Battery Model and the Model 400 Volt + Battery, with a remote controlled system. 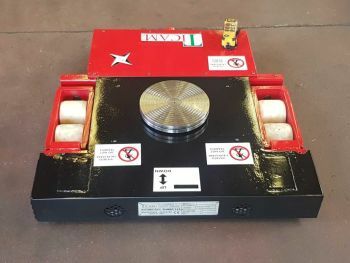 Ticam Srl designs and builds Transport Trolleys, Transfer Trolleys, Hydraulic Jacks and Rotating Trolleys in Italy for a worldwide trade. 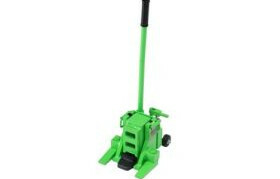 New self propelled trolley T15! 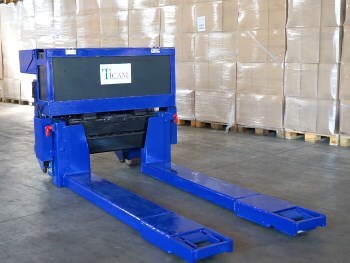 TICAM SRL manufactures and markets hydraulic jacks and motorized carts for small, medium and large transport, the result of a technical research addition to years of experience. All products shown are manufactured according to directives 89/392/EEC, 93/44/EEC and 93/68/EEC. In addition to the standard production equipment are built for lifting and handling internal and external on request of the customer. Most of our products are modular to the request of the customer!